Yoga teacher Ramdev, popular across millions of households, has said in this country with a billion-plus population, unmarried people like him should be honoured. Conversely, he prescribed a penalty for married couples who have more than two children. "Special honours should be reserved for those who, like me, do not marry. And those who marry and give birth to more than two children, should have their voting rights taken Ramdev said at a function. Ramdev, who is the face of the Patanjali Ayurveda, gained popularity among millions as his yoga programme was beamed into of homes by cable TV channels a decade ago. The 52-year-old has attributed his success in life to bachelorhood. "I don't go around with the baggage (of having a family). I have created brands. I want to make 1,000 such brands which will make India the world's biggest economy by 2050," news agency Press Trust of India quoted him as saying at a function earlier this year. "Na biwi na bacche phir bhi dekho kitne acche (There is no wife, no children, and see how comfortable we still are)," he was quoted as saying by PTI. The Yoga guru had said it is not easy to be a family man. "It's tough. Marriage is not an easy thing, many are yet to get married, and several are done with it. And if you have a child, then you will have to bear with them for the entire life," he was quoted as saying. 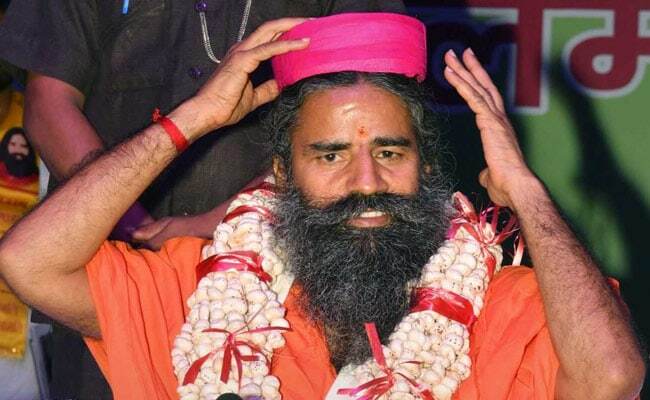 Ramdev, who supported the BJP's national election campaign in 2015, has indicated that he would stay away from the party in the next elections. "I have withdrawn myself politically. I am with all parties and I am with no parties," added the yoga teacher, speaking at a special youth conclave organized by the NDTV.